Heat oil and melt butter over medium heat. Add onions and bell pepper. Season with salt and pepper. Stir, and cook until tender. 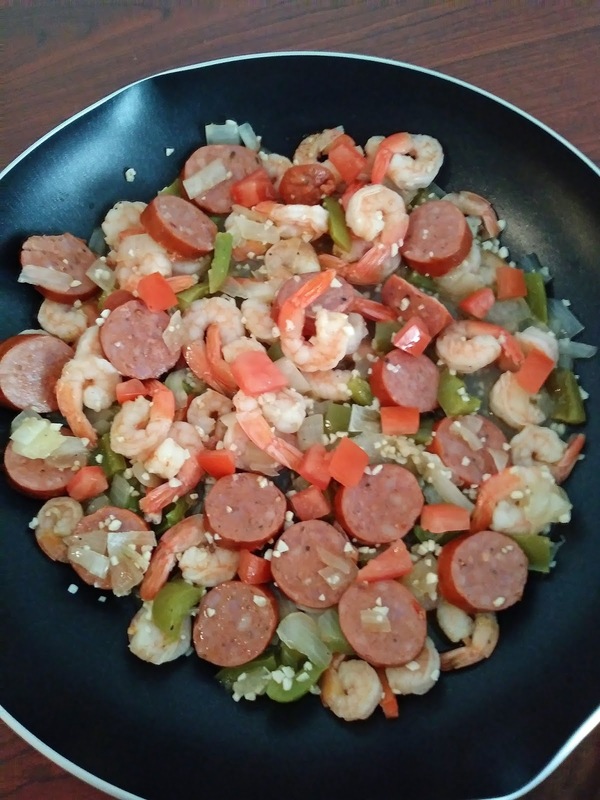 Add shrimp and sausage and sprinkle salt and pepper, stir. Cook, 3 to 4 minutes. Add garlic and chicken broth, stir, and cook additional 1 minute. Stir in tomato. Serve hot. I like these quick dishes, especially when we are pushed for time, and sounds delicious as well! Love your down home recipes. Love easy skillet meals on busy weeknights!